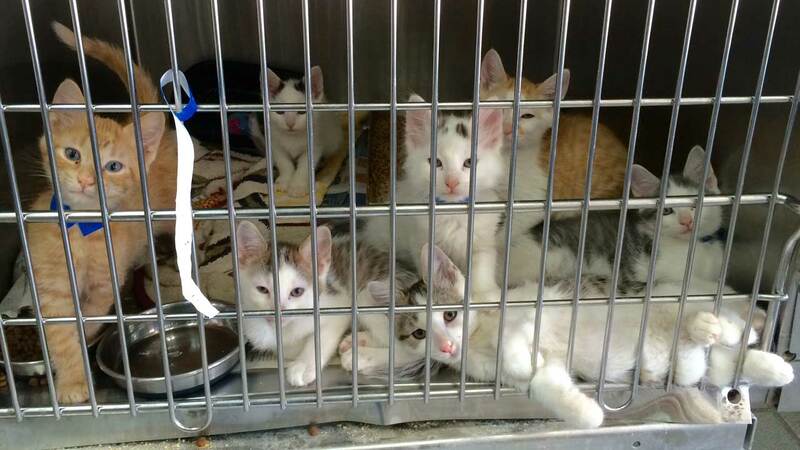 Thirteen kittens were left in a duffel bag outside PAWS on a hot summer day in Chicago. All are expected to be OK.
CHICAGO (WLS) -- More than a dozen kittens who were found abandoned in a pet shelter parking lot are now ready to be adopted. All thirteen kittens who were left inside a duffel bag outside PAWS in Chicago on a hot summer day are expected to be OK. The 13 kittens were found in a duffel bag two weeks ago by a shelter volunteer on a day when temperatures reached 85 degrees. After being checked out, the kittens are now ready to go to their forever homes. They are available for adoption at PAWS Chicago's Lincoln Park adoption center.